Have the look and feel of an old oil lantern with modern touches. 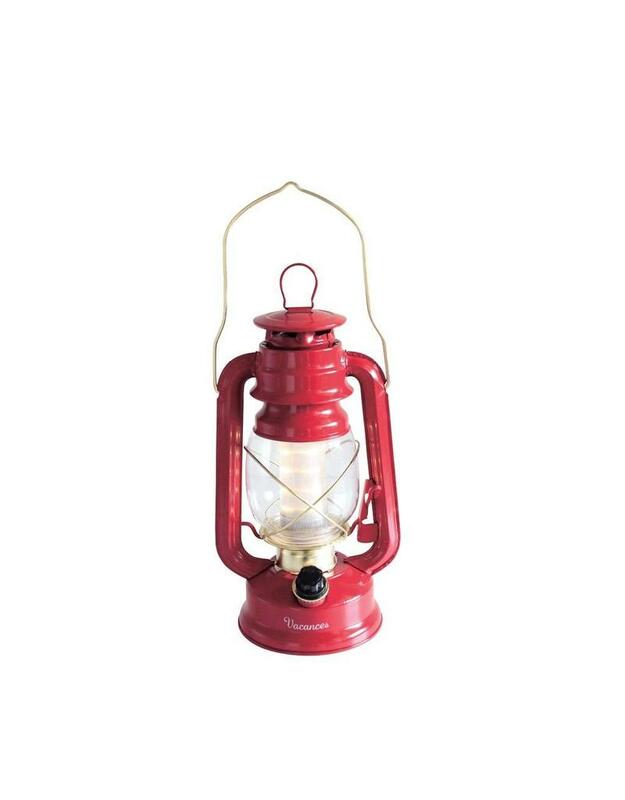 This battery operated LED lantern has a dimmer to control the amount of light. Whether you're lighting the path to the bathroom or brightening up a tent, you can create the perfect ambiance!